Assuming that models are meant to depict sets of actual instances (descriptive models) or to specify how to create new ones (prescriptive models), one would expect meta-models to do the same for sets of modeling artifacts seen as some kind of “meta” instances. Based on that understanding, a first step would be to define meta-models with regard to models semantics and abstraction scales. But that may not be enough given the range and diversity of contexts and concerns to be taken into account; to that end models and meta-models would have to defined in terms of ontologies. Models of business environments describe the relevant features of selected objects and behaviors, including supporting systems. Such models are said extensional as they target subsets in actual contexts. Models of systems artifacts specify the hardware and software components of supporting systems. Such models are said intensional as they prescribe how new artifacts are to be built. Assuming that meta-models describe subsets of symbolic artifacts, they can be characterized by the semantics of their target. Depending on frameworks and methodologies, some approaches will use a single (aka “unified”) language to cover all aspects, whereas others will deal separately with the different aspects. Taking the Model Driven Architecture (MDA) for example, that would include platform specific (PSM), platform independent (PIM), and computation specific (CIM) models, respectively for technical, functional, and business aspects. Two alternative options for the modeling of automation systems: unified language, or a meta language covering technical (e.g PSMs), functional (e.g PIMs), and business (e.g CIMs) aspects. With model based engineering frameworks like MDA, meta-models are mostly used to support downstream models transformation focused on designs and code; extending their use to upstream models is more challenging as they would have to straddle the divide between business and system realms. For that purpose meta-models would have to support knowledge-based transitions between targeted businesses and their symbolic footprint in associated supporting systems. Extensional meta-models (M2ext) will categorize descriptive artifacts (locations, events, actors, documents, etc.) according to considerations other than domain-specific ones, e.g regulatory or organizational contexts and interactions with systems. Intensional meta-models (M2int) will categorize prescriptive artifacts (class, file, etc.) independently of implementation-specific considerations, e.g particular programming languages or operating systems. Mixed meta-models (M2ext-int) will group descriptive and prescriptive artifacts under some common roof, e.g to for design patterns associating extensional categories with their symbolic surrogates. As should be expected, the semantic nature of meta-models is to determine their use. Purpose: What’s Meta For ? From an enterprise architecture perspective, meta-models can serve a wide range of purposes. Descriptive (extensional) ones are derived from CIMs, e.g to support regulatory or portfolio management. They can also serve to build predictive models for business intelligence. Prescriptive (intensional) ones are derived from PSMs, e.g to support maintenance. Mixed ones combine descriptive and prescriptive elements, e.g to define patterns or to support traceability and risk management. That can be achieved directly, e.g with requirements management tools, or through intermediate models, e.g PIMs. Descriptive (extensional) ones are derived from CIMs and used to support transformations into other descriptive models, e.g analytical or canonical ones. Prescriptive (intensional) ones target platform specific models (PSM), their purpose is to define patterns for crossed transformation or code generation targeting different platforms. Like their governance equivalent, mixed engineering meta-models are meant to provide a conceptual bridge between descriptive and prescriptive artifacts, with the difference that they have to support automated processing. Combined with MBSE, meta-models were supposed to provide a conceptual roof to be shared between models semantic (descriptive, prescriptive, or mixed) and enterprise architecture purposes (governance or engineering). That didn’t happen. Despite conceptual soundness and potential benefits, the actual deployments of model based systems engineering (MBSE) remain focused on software development, mainly code generation from design models. Extraction of specified and custom models from an integrated architecture description (AD). Describe a system from a set of stakeholders’ concerns through a set of predefined viewpoints and associated views. Reflect custom viewpoints or to develop more formal extensions for new viewpoints. Improve the ability to exchange architecture information among related tools that are SysML based and tools that are based on other standards. Provide a standard representation for AD support for Defense Organizations. Support a standard representation for non-defense organizations’ ADs as part of their Systems Engineering (SE) technical processes. Support US Department of Defense Architecture Framework (DoDAF) 2.02, Canada’s Department of National Defense Architecture Framework (DNDAF), North Atlantic Treaty Organization (NATO) Architecture Framework (NAF) v 3.1. Based upon the DoDAF 2.0.2 Domain Metamodel (DM2) and the MODAF ontological data exchange mechanism (MODEM). Improve the ability to exchange architecture data between related tools that are UML/SysML based and tools that are based on other standards. Specifies a SysML v1.3 profile. As it happened (aeons ago …), ontologies have been introduced to tackle that difficulty. As originally understood by ancient Greek philosophers, ontologies define the epistemic nature (aka condition of existence) for whatever is considered, in our case enterprise architecture contexts and concerns. Thesaurus: for the whole range of terms and concepts independently of instances (intensional). Documents: for information contents independently of actual instances (intensional). Business and operations: for enterprise organization, objects and activities (extensional). Engineering: for systems surrogates associated to enterprise organization and business objects and activities (intensional). Ontologies so appear as the matrix of all modeling languages, encompassing models, meta-models, profiles, and every kind of abstraction, which makes them the best option for EA knowledge management. 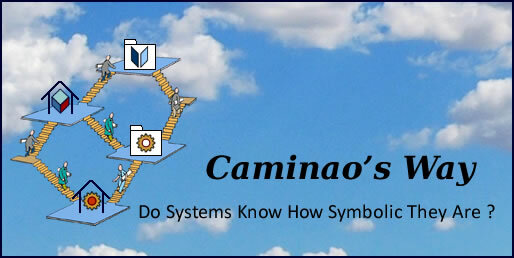 The Caminao Ontological Kernel provides a test-bed as well as a workbench for that approach, with a case study for the EU GDPR regulation.